I was recently sent some lovely items from Mummy Bee. Mummy Bee is a range of products from Beefayre. 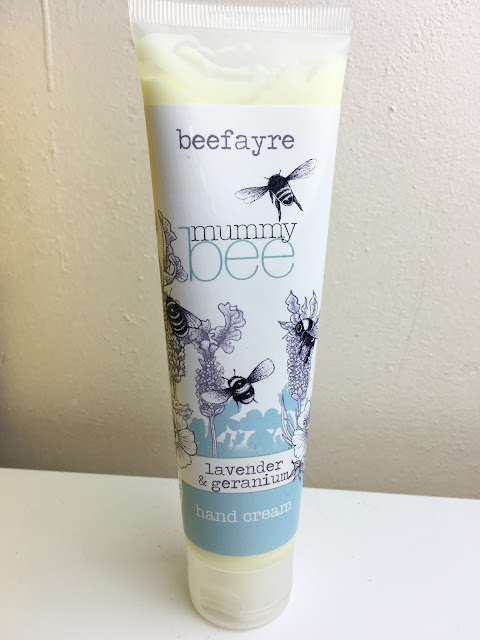 Beefayre donates 3% of its profits to bee conservation and is an ethical brand. 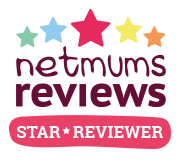 I was sent the Mummy Bee some lovely items to try out. The set came gorgeously packaged, perfect to give as a present! 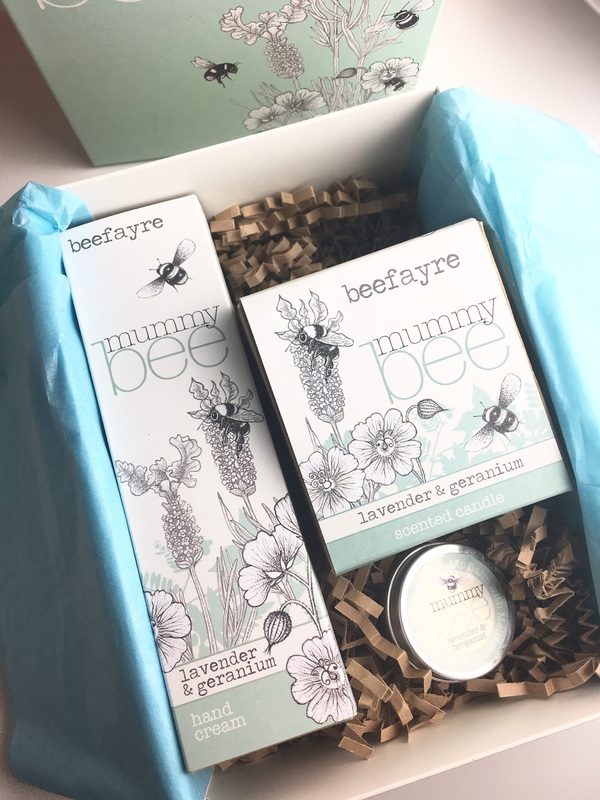 This is the perfect gift set for any mum, mum to be or new mum. In this set is a hand cream, lip balm and a candle, with lavender and geranium the whole set smells lovely. The scent is quite strong but it is nice. 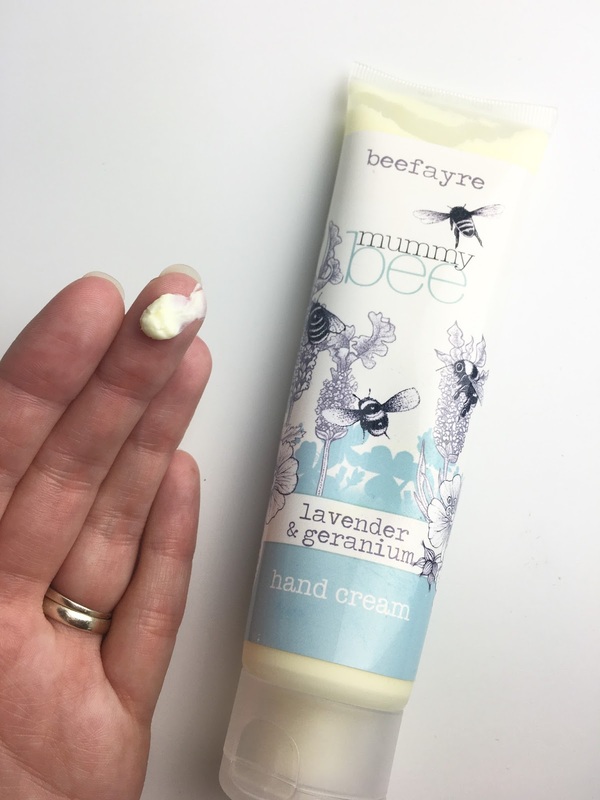 A hand cream is something that I honestly don't use that much. I tend to forget and will use one every so often as a treat. This one is lovely though. It has a lovely texture and once it's rubbed in it isn't sticky at all. 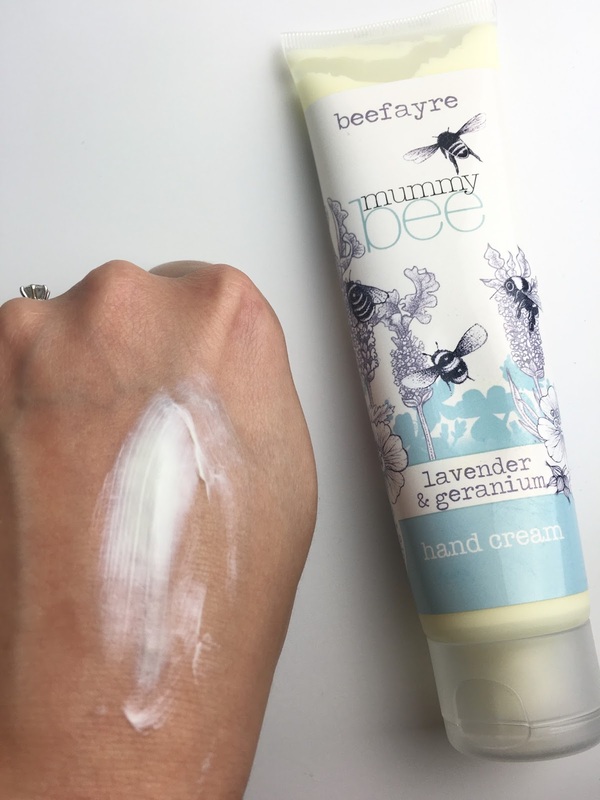 Meaning you can apply the hand cream and get on with your day almost straight away. The hand cream is thick and makes me hands feel lovely. I also like the packaging of the hand cream. It is small enough to fit into a handbag or changing bag. A lip balm is something that I use multiple times a day. My lips are always quite dry and can get very sore so on a day to day basis I normally just wear lip balm. As a result of this I usually like tinted ones to give my lips a little colour. This one doesn't have any colour but is nice. 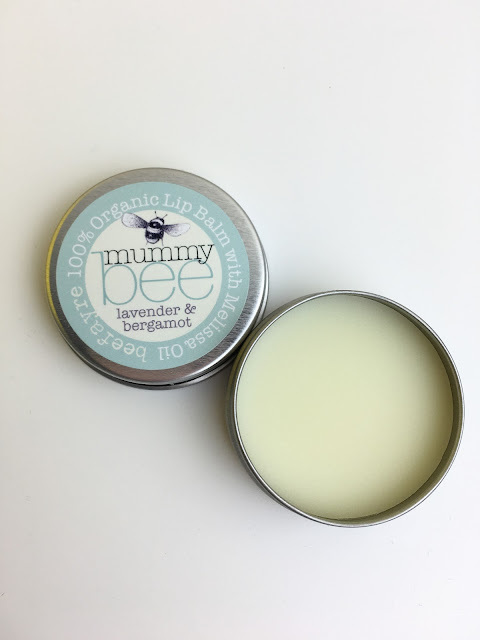 I can't say it's worked wonders for my lips as I've only tried it for the past couple of weeks but my lips don't feel any worse off for trying it out. It's a very smooth lip balm and lasts on the lips a long time which keeps them feeling hydrated. I still haven't had chance to burn the candle, with my hyperemesis gravidarum I'm really cautious about new smells. I'm sure the candle would smell just as nice as the hand cream and lip cream when it is burning. 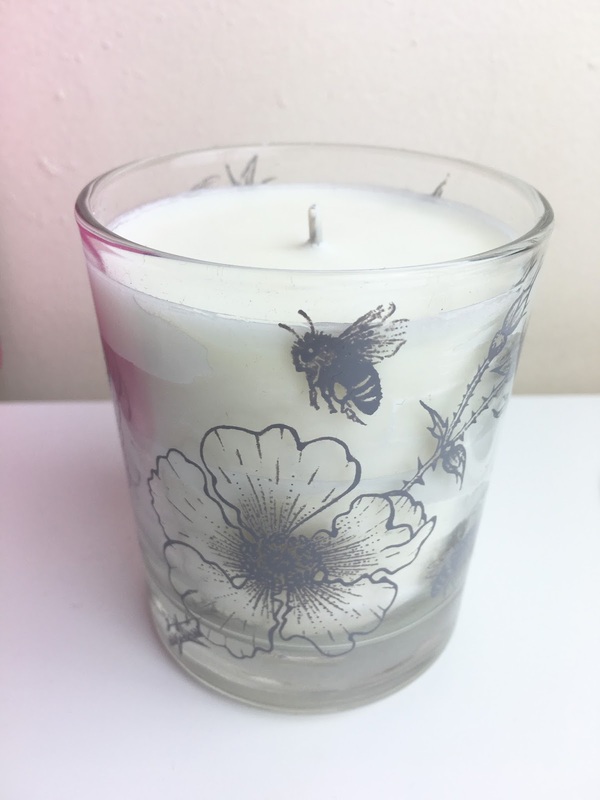 When I'm not pregnant candles tend to give me headaches so I think I shall save this one for a later date, maybe a nice relaxing bath in the third trimester. Smelling the candle without lighting it does smell quite strong. The jar is adorable and defiantly worth saving after the candle is gone. The packaging says the candle burns for 50 hours. Overall I love this little set. It would make a lovely gift for anyone. I would advise against it if the person is very sensitive to smells as the scent is quite strong.